Making cupcakes for your 4th of July celebration? 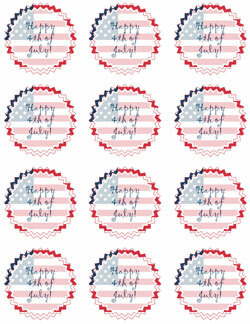 Download and print these cute Fourth of July decorations for your cupcake toppers! 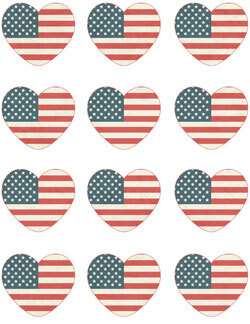 In this set you’ll get a page of 2-inch heart-shaped cupcake toppers decorated with the American flag that you can cut out individually or use a scalloped punch to create even circular toppers. 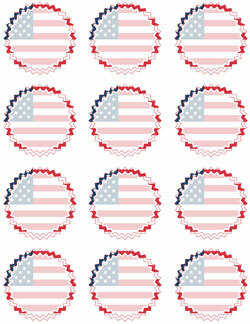 There is also a second set of American flag Fourth of July decorations for you to print, cut, and paste together to make adorable cupcake toppers. 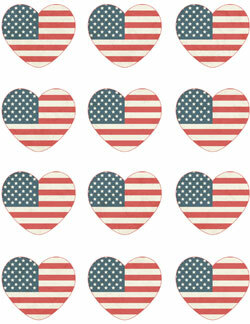 There is a page that has a “Happy 4th of July!” message on the toppers and a page of blank 4th of July cupcake toppers where you can write in your own messages. If you would like to share the 4th of July cupcake toppers with a friend, please send them directly to this page (Do not link directly to the download file.) so that they can download a copy for themselves.